One very basic legal concept relates to the jurisdiction of courts. Jurisdiction in general refers to a court’s ability to hear a certain type of case and/or enter orders that are binding on the parties to a lawsuit. If a court does not have the power to decide the type of case that is presented to it (whether a divorce case, a paternity action, or some other type of case), or if it does not have the power to compel the parties to obey its orders, it may not enter legally enforceable orders. If this occurs, one or both of the parties can be negatively impacted – imagine the confusion that can result, for instance, if a court enters a child custody order awarding custody to one parent, only for that parent to find out that she cannot enforce that order. Or imagine the financial turmoil that could result if one parent is expecting a certain amount of child support each month, only to learn that the order is unenforceable because the court that ordered the support lacked jurisdiction. Jurisdiction is an extremely complex issue, especially when it comes to child custody and child support issues. A savvy Florida child support attorney or Florida child custody attorney is able to recognize jurisdictional issues and advise their clients on the potential ramifications of these issues. Jurisdiction and Enforcement Act (UCCJEA), which has been adopted by Florida and 48 other states. Under Florida law, a Florida court can make an initial child custody ruling if Florida is the “home state” of the child on the date the proceeding involving child custody issues was commenced. In addition, a court can rule if Florida was the “home state” of the child within six months before the proceedings were initiated and, despite the child being presently absent from Florida, at least a parent or person acting as a parent continues to live in Florida. For example, if Levi and Ally have a child in common and Ally, Levi, and the child have resided in Florida for the past six months, then a Florida court would obviously have jurisdiction to make an initial child custody determination. Even if Ally were to leave with the child and go to live with Georgia a month or two before a child custody action was commenced, Levi could still bring such an action in Florida as Florida courts would have jurisdiction. There is a second manner in which Florida courts can acquire jurisdiction to make an initial child custody determination, which occurs when there is no other state that claims to be the “home state” of the child or such a state has declined to exercise jurisdiction on the grounds that Florida would be a more appropriate forum. In such a situation, the child and at least one parent or individual acting as a parent must have a “significant connection” with Florida and there is “substantial evidence” in Florida concerning the child’s care, protection, training, and relationships. Finally, Florida courts can exercise jurisdiction to make an initial child custody determination if no other court could exercise jurisdiction or if all other courts that could exercise jurisdiction have declined to exercise that jurisdiction. States may choose to do so if they feel Florida would be a more appropriate place to decide child custody issues. As one can see, there are various questions that can arise in determining if Florida can exercise jurisdiction to initially make a child custody determination. For instance, disagreement can arise as to whether Florida or some other state is the “home state” of the child. The “home state” of the child is typically the state in which the child has resided for the last six months with a parent; but what if the child’s parents have already separated and share parenting time with the child on a near-equal basis for six months? Issues can also arise in determining what constitutes a “significant connection” with Florida. A party that is not wanting to litigate child custody in Florida will want to try to show why Florida does not have initial jurisdiction. If the child has not lived in Florida for the six months immediately preceding the filing of a child custody action, if neither the child nor either parent continues to live in Florida, or if there are not “significant connections” (something more than passing through Florida or being temporarily present within the State), then Florida may not be able to exercise jurisdiction to make an initial child custody determination. Once a Florida court makes an initial child custody order, Florida courts have exclusive, continuing jurisdiction to modify those child custody orders. This is meant to prevent other states from entering conflicting child custody orders without first giving Florida the opportunity to modify its orders. Florida can continue to exercise exclusive, continuing jurisdiction so long as the child or at least one of the child’s parents continues to reside in Florida or so long as Florida continues to be a convenient forum to litigate future issues. To have exclusive, continuing jurisdiction means that other states will defer to Florida before granting orders that modify or change an initial custody order that Florida has entered. So if Florida makes an initial custody determination in Ally and Levi’s case, a Georgia court will refrain from entering any orders in the matter – at least until Florida has decided not to continue exercising jurisdiction. A court with exclusive, continuing jurisdiction can always choose not to exercise that jurisdiction and allow another state to enter orders instead. A court may be more inclined to do this when, for instance, the children of the parties have not lived in the state for a number of years, where important witnesses and evidence is out of state (like medical records and school professionals), in situations where the distance between the court with exclusive, continuing jurisdiction and the court which is seeking jurisdiction is great, and where one party has sufficient financial resources to travel. In a proceeding for the dissolution of a Florida marriage, a court may order either parent at any time to pay the other parent child support. A court has jurisdiction to order child support in all divorce cases in which there are children of the marriage. In other words, if a court has the ability to hear a divorce petition, it can decide any child support issues that are present in that divorce. Although the party who has residential custody of the child or children typically asks the court to award him or her child support, the court may make such an order on its own initiative as well. If a third party is caring for the child (such as a foster home or relative), the court may order that both parents pay some amount to the third party for child support. Depending on the financial situations of the parties, calculating the proper amount of child support to be ordered can be a complex task. A court will calculate child support by first obtaining evidence of the parties’ income. Florida child support guidelines mandate a specific amount of child support based on the combined total income of the parties, the total number of children, and the ages of the children. A court can then take certain other facts into account (such as whether one parent pays for the child to have health insurance) in arriving at a final child support obligation for each parent. 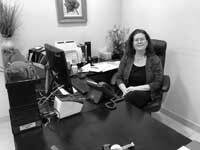 This amount is said to be presumed – that is, a court will, in most cases, adopt and enforce a child support amount that is arrived at by performing the mandated calculations. In some cases, though, a court can deviate from the presumed amount so long as the court explicitly states why it is doing so. After entering an initial child support order, a Florida court retains jurisdiction to modify that child support order at a later time. A court may modify a preexisting child support order when the child turns 18, when the child is emancipated, when the child marries or joins the military, when there has been a substantial change in one or both parties’ financial situations (such as a job loss or a promotion), or any other time the court feels it is in the best interests of the child to modify the child support amount. Parties who do not wish for a Florida court to determine child support are best advised to not permit a divorce action to be filed against them in Florida. If neither of the parties was a resident of Florida for at least six months prior to the filing of the divorce petition, then a Florida court may not exercise jurisdiction over the divorce. If the court cannot exercise jurisdiction over the divorce, then the court is without power to establish or modify a child support obligation. Furthermore, if a court attempts to modify an existing child support obligation, a party may attempt to claim that no circumstances recognized by statute permit the court to do so. For instance, a party may argue that there has not been a “substantial” change in the parties’ financial circumstances or that it is not in the best interests of the child to review the support order. Child custody and child support issues can be some of the most hotly contested issues in a divorce. In order for a court to enter enforceable orders affecting custody or support, however, the court must have jurisdiction to do so. In a child custody dispute, a Florida court can acquire jurisdiction over the parties and the child if Florida is the “home state” of the child if the child has resided in Florida for at least six months prior to the custody dispute beginning). Once a Florida court has acquired and exercised jurisdiction initially, Florida courts will continue to have the jurisdiction to modify those orders at a later time. If the circumstances are such that it makes more sense for another court to exercise jurisdiction to modify custody orders – or if all the parties and the child have relocated outside of Florida – then other courts may enter orders in the case. 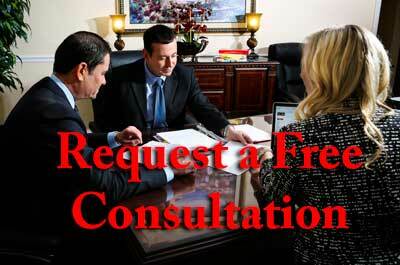 knowledgeable and experienced Florida divorce attorney. In some cases, a divorce attorney may be able to help a party keep a Florida court from deciding custody or support issues by showing the court that it does not have the jurisdiction to enter such orders. Or, if orders have already been entered, an attorney may be able to help a party show a Florida court that it no longer has jurisdiction to modify previously-entered orders. Depending on the situation, this can result in increased convenience and monetary savings to a party (who may not have to travel to Florida for court anymore) and may result in a more favorable judge hearing the case.